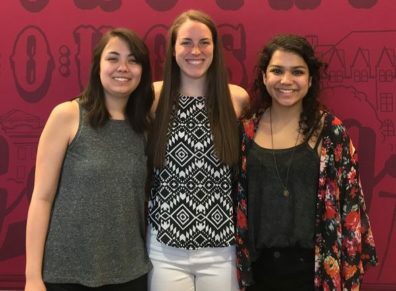 Student clubs are a great way to learn more about your field of interest, connect with similar goal-oriented students, participate in community service projects, and expand your social and academic network. We advise and assist student-run clubs for many health professions programs at WSU. This club is for those who desire a profession or have an interest in the dental field. Our purpose as a club is to help students affiliate with the option of pursuing dentistry while making a difference in the community. Members are offered knowledge about dentistry, opportunities for community service, and the chance to participate in volunteer projects year round. To learn more about us, refer to the FAQ, Members, and Calendar information available on our Facebook page, or please feel free to contact a member or simply show up to one of our scheduled meetings. Meetings are currently held every other Wednesday in CUE 216 at 5:00 p.m. Meetings every other week where members can exchange and discuss ideas. Provide helpful and insightful information regarding a career in dentistry. Host socials where members get the chance to interact with each other and form bonds. Fall and spring blood drives. Bring in local dentists to talk to the club about their experience and job shadowing opportunities. Participate in the Annual Pullman Family Fair. 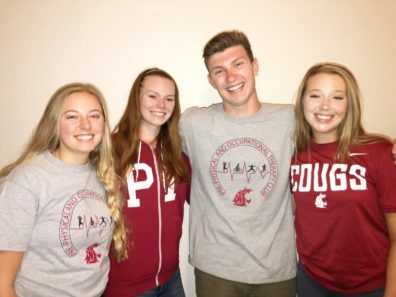 Rho Nu is a volunteer-based club open to all Washington State University pre-nursing students. The name of this organization was adopted from the Greek names for the letters RN, which are, of course, the abbreviation for Registered Nurse. Visit the Pre-Nursing Facebook page for meeting updates. Assist pre-nursing students socially and scholastically. Explore areas of interest within nursing and related fields. Be active on our campus and in the community as volunteers. Promote a spirit of friendliness and unity between advisors and students. Provide leadership opportunities for members. Blood drives throughout the year. Guest speakers from health fields. Local volunteer opportunities at YMCA and retirement homes. 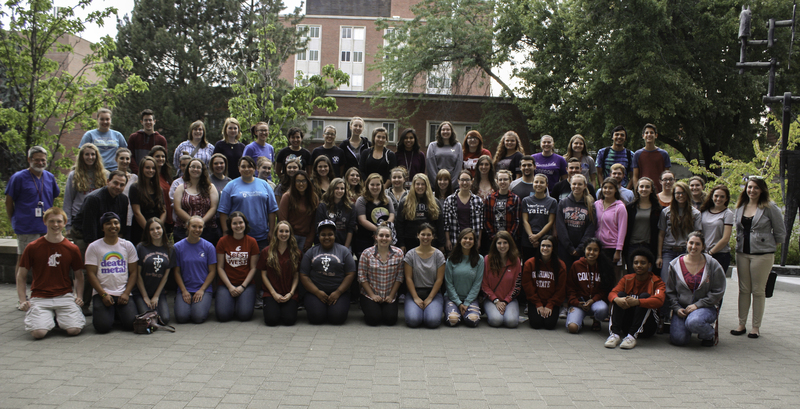 Organize visits to the WSU College of Nursing in Spokane to tour the campus and meet with current nursing students in our program. 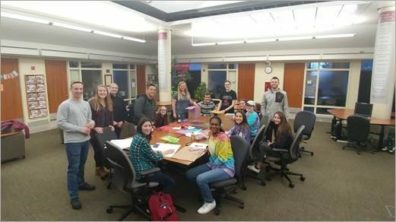 Study tables and peer tutoring to help students succeed academically. Social events for members to get to know each other. Informational events for nursing school applications. 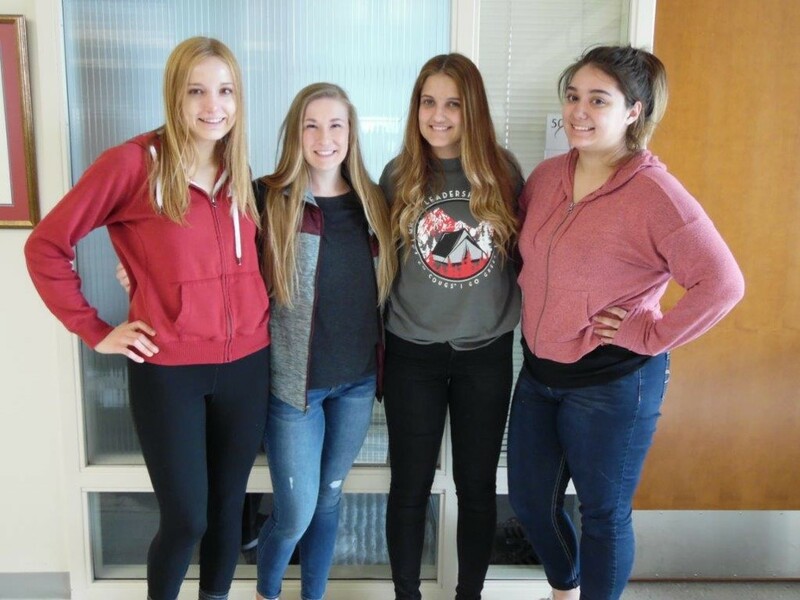 The Facebook page of our club is used to disseminate meeting updates, provide volunteer information, and help WSU pre-nursing students connect with other. This club is for students who are interested in the field of nutrition and exercise. We offer guidance through the process of this 2+2 year program, ways to become competitive applicants, and fun leadership opportunities. If you like to get involved in academics like hosting fun runs, creating nutritional guides for athletes, or volunteering at food banks, join us! • The Pre-NEP club aims to guide future NEP students through the first two years of the program by offering leadership opportunities and tools to become competitive applicants. It is our goal to raise public awareness on the importance of nutrition and exercise regarding health and disease prevention. • Guest speakers from health fields that relate to our major. • Provide Local volunteer opportunities within the community. • Organize visits to the WSU Nutrition and Exercise Physiology Classrooms in Spokane to tour the campus and meet with current NEP students in our program, as well as faculty. • Organize study groups to help students succeed academically. • Social events for members to get to know each other. • Act as a resource to NEP students who have questions or concerns about the program. 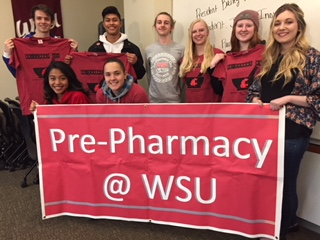 The Pre-Pharmacy Club helps WSU Pullman students become competitive applicants for professional schools of pharmacy. Any dedicated pre-pharmacy student, and anyone considering a career in pharmacy, is welcome to join the club. We want to help you become a successful future pharmacist! Every first Monday of each month at 5:30 p.m. in CUE 202. Dedicated to educating and guiding prospective Washington State University pharmacy students. Our mission is to provide pre-pharmacy students with the tools and information necessary to succeed. To provide students with admission information, guidelines, and requirements for the WSU College of Pharmacy and others. Provide a greater understanding of the field of pharmacy. Create social events events for members, allowing students to know their fellow pre-pharmacy peers. Host presentations from current pharmacy students, professors, admission advisors, and pharmacy professionals. This club is for all students at WSU who are interested in becoming Physical Therapists or Occupational Therapists at some point in their life or just have an interest in learning more about the profession. It serves to enhance the professional and personal development of students by organizing and participating in educational, social, and charitable activities. We meet every other Thursday at 6:00 p.m. Meeting locations, unless otherwise noted, are in the Health Professions Student Center, 502 CUE. Come to meet people, have fun, and learn more about PT and OT! We typically have study tables the weeks we do not have an official meeting. These are held every other Thursday, CUE 412, at 5 p.m.
To help students feel more prepared when applying to PT and OT programs and inspire them to pursue their dreams in this field. Encourage members to be active on our campus and in the community as volunteers. Promote comradeship and collaboration among club members. Provide leadership and networking opportunities for members. Hold regular meetings, where we present information about various PT/OT graduate programs and discuss major points in the application process (such as letters of recommendation and observation hours, etc.). Invite guest speakers, including licensed PTs and OTs and WSU faculty. Discuss case studies that an average PT or OT may come across. Inform members of local volunteer opportunities and organize events to give back to the community, such as organizing blood drives and participating in Relay for Life. Our club offers an academic and social support system for pre-professional students in veterinary medicine. It promotes scholarship, fellowship, leadership and character among its members through biweekly meetings, pertinent trips and activities. Our main goal is to educate members on careers in veterinary medicine and provide information regarding entrance requirements to the various veterinary colleges. Alpha Epsilon Delta is the national health professional honor society. Our chapter at WSU welcomes any students aspiring to enter the field of healthcare. As an academic honor society, it is our goal to encourage excellence in scholarship and to help students prepare for their futures in a healthcare career. We have been meeting every other Monday at 5:00 p.m. in CUE 502. Many of our club activities include workshops to help with applications to professional school, community service projects, and presentations from health professionals in our community. Members who meet a minimum GPA requirement will also be invited to join AED at the national level. The Minority Association of Pre-Health Students (MAPS) is a nationally recognized organization under the Student National Medical Association (SNMA). Mission Statement: We strive to eliminate ethnic health disparities, and provide ourselves and those around us with a larger sense of being. We stand strong in the light of the many that struggled before us, and we hope to make each step easier for those who come after us. We are the leaders of our communities and voices of reason and change. Meetings occur every other Tuesday in CUE 502 at 5:00 p.m. unless stated otherwise. Stimulate excellence in academia, professionalism, and interpersonal skills. Provide knowledge on current ethnic health disparities. Increase interaction with many culturally diverse individuals. Community service projects such as Relay for Life and volunteer at the Avalon Senior Center. In collaboration with the YMCA, we have organized events to provide FREE health care to individuals without insurance in our community. We are participating in the Annual Pullman Family Fair with a booth staffed by local health professionals who provide a free health screening. Social Gatherings for movie nights, holiday dinners, ethnic food night. The Pre-Health Club is a student-led organization open to any WSU student interested in the health professions. It is a great way to meet future health professionals collaborating and networking with each other. Meetings every other week at 6:10 PM on Wednesdays to exchange and discuss ideas. Meeting locations, unless otherwise noted, are in the Health Professions Student Center, 502 CUE. We work to provide guidance and opportunities to enhance the academic, networking, and clinical skills of our members. We also set up volunteer activities to broaden students’ perspectives. While some club members have focused on a health profession, others are still deciding on a specific career pathway. Provide helpful and insightful information regarding various health careers and health-related graduate programs. Invite speakers employed in health careers. Give members information about volunteer and research opportunities, shadowing experiences, and other service opportunities in our area. MCAT & GRE practice questions. Organize and participate in food and blood drives. Host activities where members get the chance to interact with each other, and with members of other pre-health clubs, and form bonds. For example, collaboration between Pre-Health and Pre-PT/OT Club. 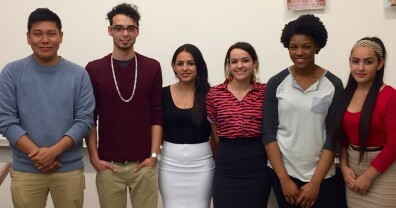 This organization furthers students knowledge about being a Pre-med student here at WSU. 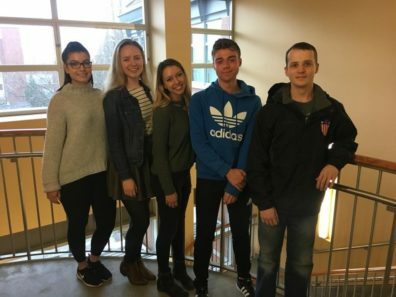 We strive to make every students experience here unique and personal and we work as a team to help each other succeed to reach out ultimate goal: Doctor. 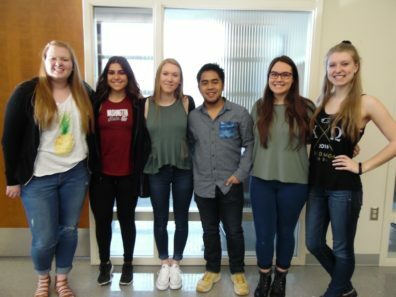 The Pre-Physician Assistant Club aims to familiarize students interested in becoming Physician Assistants with the admissions process for Physician Assistant schools as well as the duties associated with the profession. Students will become familiar with the life of a Physician Assistant through seminars, guest speakers, and community service opportunities. We are an informative club with meetings based around giving information about the profession, the GRE, CASPA (online application process to all PA schools), writing personal statements, etc. This organization goes beyond serving the community by providing informative resources for its members.